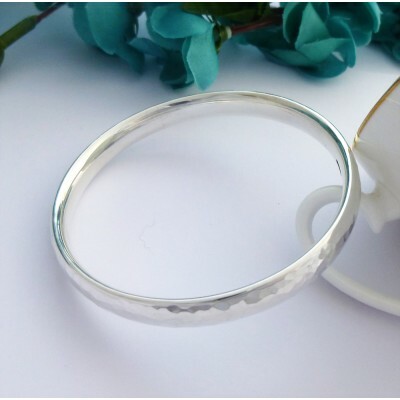 The Kelly Small size bangle is an exquisite bangle that is made from solid oval sterling silver, with a hand hammered design. 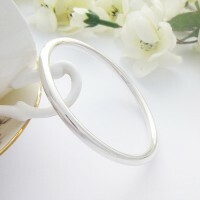 It is a bangle exclusive to Guilty Bangles and has been made in the UK! The Kelly Small Bangle is a beautiful bangle perfect for ladies who require a smaller size bangle so that it won't fall off of your wrist. 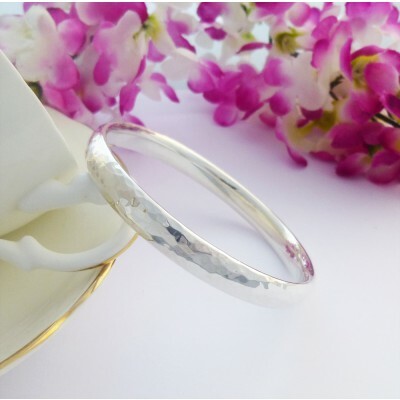 It features a hand hammered finish that our silversmith completes to a fine detail. 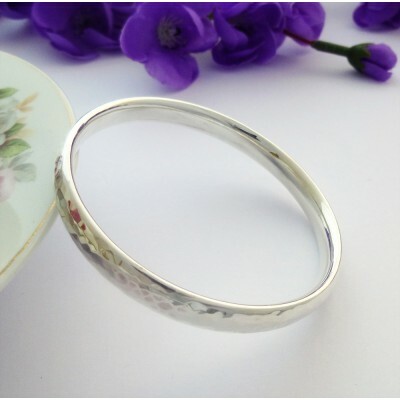 A unique, chunky solid silver bangle with a great weighty feel, the hammered finish creates a great reflection for a bangle that really stands out. The Kelly has an oval cross section approximately 8mm wide and 4mm deep with an internal diameter of 61mm. The Kelly is perfect for ladies that love a unique finish on a bangle that is made to the highest standards in the UK. 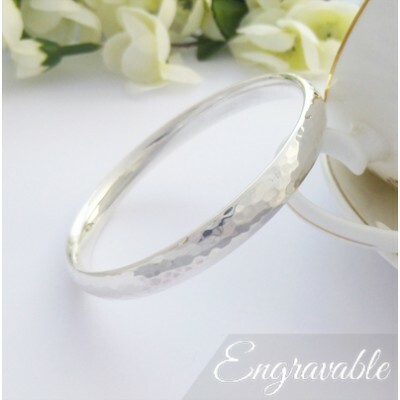 As a solid bangle, the Kelly is suitable for engraving and we can engrave this bangle for you. The Kelly features a hand hammered finish where every bangle is unique. The internal cross section is 4mm deep and 8mm wide and is solid! The internal diameter of the Kelly is 61mm, hallmarked in the UK in 925 sterling silver. 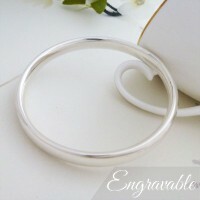 The approximate weight of this bangle is 56g.